Congratulations on your engagement! Whether the question has already been popped or you’re just looking for the perfect ring for your fiancée to be, this is a very exciting and joyous time! Nonetheless, buying an engagement ring can still cost a lot of money. The average man spends between one to three-months salary on a diamond engagement ring. But what if your engagement ring didn’t have to be expensive? What if it didn’t have a diamond at all? Diamonds may be traditional, but they aren’t the only option for a sparkling engagement ring! 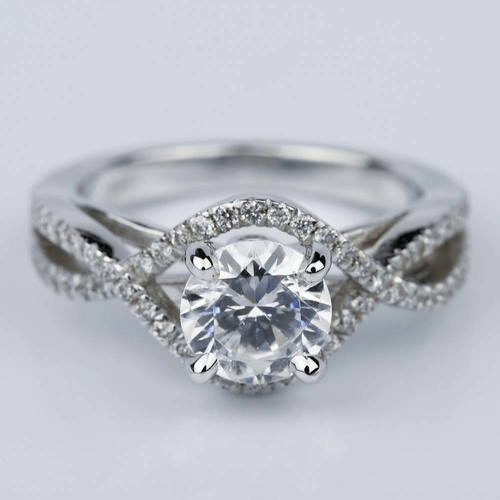 A Moissanite engagement ring will make a great replacement for a diamond engagement ring, plus they have the added benefit of being far less expensive than a traditional diamond rings. 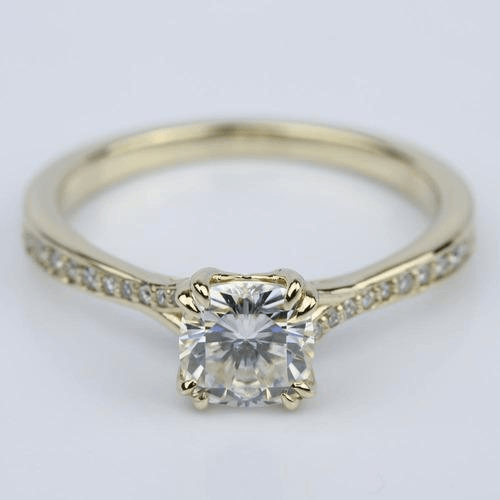 Why Buy a Moissanite Ring? Moissanite is a clear gemstone first found in 1893. 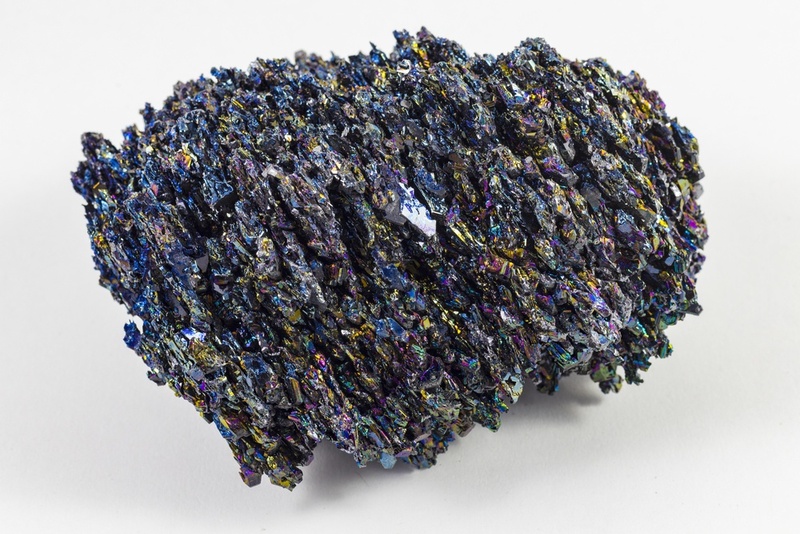 It has a similar appearance to the diamond, offering similar clarity and brilliance, and it is also very rare in nature. However, in the 1990s, scientists found a way to recreate Moissanite gemstones; meaning it can be created in a lab instead of being mined. Because of this, moissanite has many advantages over diamonds. First and foremost, you will not run into the danger of purchasing a “blood diamond,” which is a diamond harvested and sold to fund insurgents and violent unrest in some countries. Additionally, since it is created in a lab, the clarity of a moissanite gemstone will always be flawless. The color of moissanite also tends to be colorless, although moissanite may have a slightly grey hue. Finally, moissanite is more reflective, so it has more fire and sparkle than a traditional diamond because it bends light nearly twice as much. While it may be more brilliant, the type of brilliance is distinctly different from that of a diamond, especially in larger stones. If you want an exact diamond replica, stick with a smaller moissanite gem. What About Carat and Cut? As mentioned above, clarity and color do not come into play because of how moissanite is created. But what about carat and cut? Moissanite diamonds are not judged by carat, but instead by diameter, which is measured in millimeters (mm). As one would expect, the larger the MM, the more expensive the gem will be. 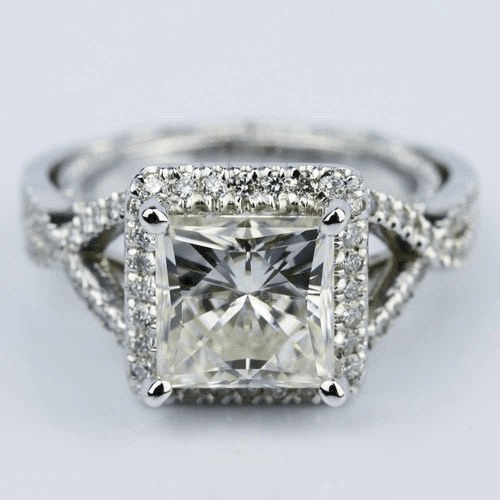 In the same way, a complex cut moissanite gem, such an Asscher cut or a cushion cut, will also cost more because of the precision and craftsmanship involved. So you don’t have the money for a big moissanite? That’s okay! A smaller stone can be offset very well by the right setting. Moissanite does very well when set in an engraved setting of any metal. Since it sparkles and shines so well, a small gem will look bigger in detailed setting due to its brilliance. One of the main benefits of moissanite over diamonds and diamond alternatives is the unique way it captures light; this can steal the show from any other considerations. 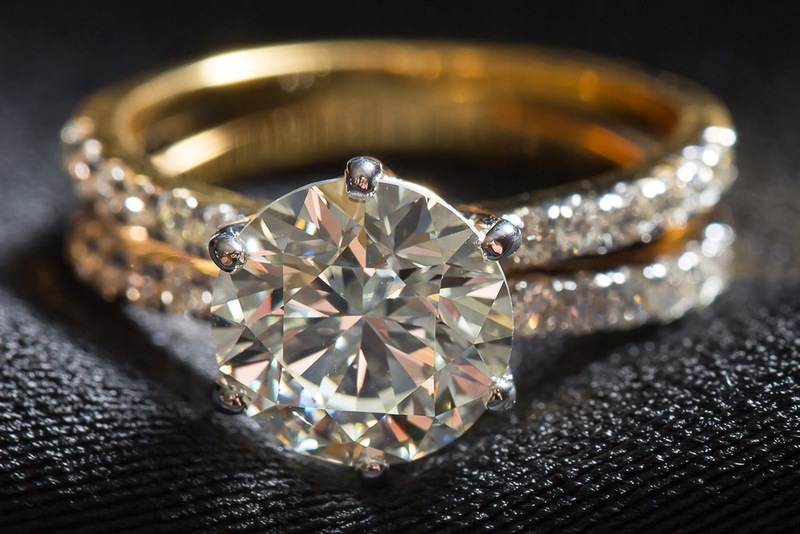 With its fire and radiance, moissanite is becoming a more popular choice for engagement rings and it’s easy to see why when all of those factors are considered. Now that you’ve decided to propose (or already have), it’s time to go out and find the symbol of your engagement. Using the tips above, you can find the perfect ring for your future spouse at an affordable price and put your savings to a future as bright as your moissanite engagement ring!